Amruta Khanvilkar dazzles in an orange coordinate set! Indo Western Amruta Khanvilkar dazzles in an Indo-western outfit! 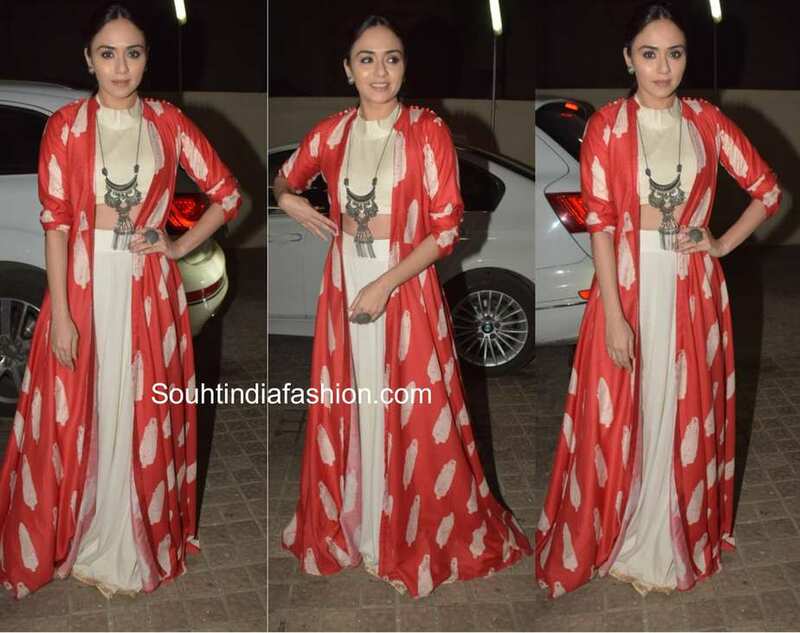 Amruta Khanvilkar dazzles in an Indo-western outfit! Amurta Khanvilkar was clicked by the paparazzi looking all radiant in an Indo-western outfit. The actress attended the special screening of Raazi film in a set featuring a beige crop top by Vastra by Milonee and matching long skirt by Neetu Rohra teamed with a red long jacket by kalki Fashion. She accessorized her outfit with statement silver necklace and ring by My Motifs. Simple makeup and a ponytail rounded off her look!